The 1960’s saw the birth of a number of social movements. These movements included the civil rights movement, consumerism, the rise of self-help groups, the de-medicalization of disability-related services, and de-institutionalization. 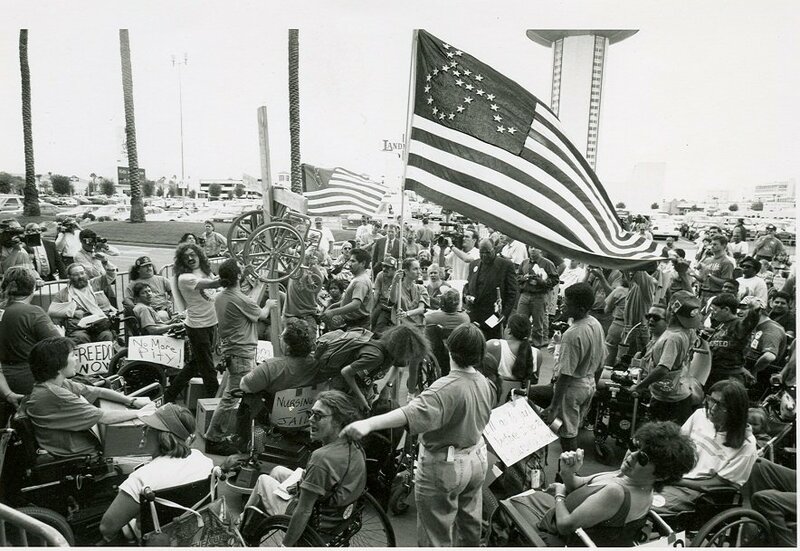 In the late 1960’s, these social movements inspired the independent living movement for people with disabilities, and resulted in the creation of an organization called the Center for Independent Living in Berkeley, California. During the 1970’s, similar organizations were started in other states. Now commonly referred to as CILs, centers for independent living are usually described as consumer-controlled, cross-disability, community-based, non-residential, not-for-profit organizations that provide both individualized services and systems advocacy. Consumer-controlled means that people with disabilities are able to make choices and decisions, take risks, and have personal control over services and the organizations that provide those services. A majority of the Board of Directors and staff of a CIL are people with disabilities. Cross-disability means that CILs provide services to people with any type of disability, and that people with any type of a disability are involved in the governance and operation of the CIL. Community-based means that CIL’s are freestanding organizations located in the communities they serve, and not part of rehabilitation hospitals or state agencies. Non-residential means that CILs do not own or operate residential facilities such as group homes or assisted living facilities. 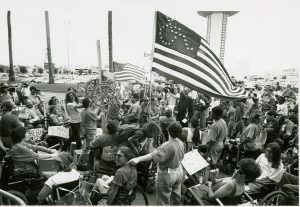 In 1978, the Rehabilitation Act of 1973 was amended to fund Comprehensive Services for Independent Living, which provided grants to organizations in all states to create CILs. Usually, these federal grant funds were awarded to state agencies such as Vocational Rehabilitation, which then made grants to non-profit organizations to operate as CILs. In some cases, federal grants were made directly to non-profit organizations. In the early 1980’s, the Idaho Division of Vocational Rehabilitation (IDVR) used federal grants to fund two CILs in Idaho: Stepping Stones, Inc. in Moscow, and Dawn Enterprises in Blackfoot. The federal government also gave a grant to the Center of Resources for Independent People in Pocatello, which brought the total of CILs in Idaho to three. By the late 1980’s it became apparent that more CILs were needed. When additional federal funds became available, the Idaho Commission for the Blind and Visually Impaired (ICBVI) was awarded a grant to fund a new CIL. When the money became available in 1988, the Living Independence Network Corporation (LINC) was formed, and offices in both Boise and Twin Falls were opened in 1989. The mid-1990’s witnessed the continued growth of independent living in Idaho. With input from a wide variety of individuals and disability-related organizations, the State Independent Living Council (SILC) was formed by executive order of the Governor in 1993. As in other states, the Idaho SILC helps develop and coordinate a state plan for independent living, provides advocacy for systems change, and supports the activities and programs of the CILs in Idaho. Like the CILs, the SILC is cross-disability and consumer controlled. At about the same time, the federal grants for CILs ceased to “pass through” state agencies like IDVR and ICBVI, and the CILs in Idaho began to receive these grant funds directly. Stepping Stones, Inc., in Moscow, which operated other programs such as group homes and transitional living apartments, decided to “spin off” the CIL part of the organization in the early 1990’s. This led to the creation of a freestanding, non-profit CIL that is now known as the Disability Action Center Northwest (DAC). Dawn Enterprises, in Blackfoot, followed suit several years later, and the Eastern Idaho Center for Independence (EICI) was formed. Shortly thereafter, EICI in Blackfoot merged with the Center of Resources for Independent People in Pocatello to become Living Independently For Everyone (LIFE). In order to create more opportunities for independent living in other communities, the Idaho SILC helped obtain and provide funding for DAC to open an office in Coeur d’Alene, and for LINC to start an office in Caldwell. As of 2008, there are now three centers for independent living in Idaho, and each has several offices. LIFE has offices in Pocatello, Blackfoot, Idaho Falls, and Burley. DAC has offices in Moscow, Lewiston, and Coeur d’Alene. LINC has offices in Boise, Twin Falls, and Caldwell. Transition services assist people with disabilities to move from institutional placement into community living, help prevent institutionalization in the first place, and assist post-secondary youth who had or were eligible for an individualized education plan (IEP) to transition into the community.